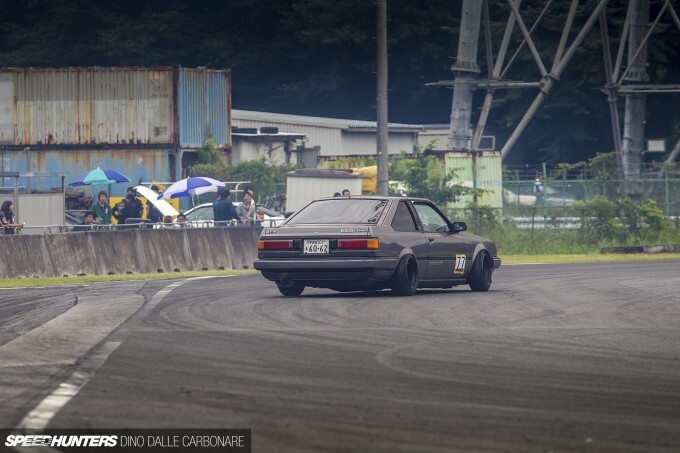 The popularity of Toyota’s AE86 in Japanese drifting circles isn’t showing any signs of waning, so I wasn’t at all surprised to see a massive 4A-G class at the recent Black Mark Day drift event. It’s almost a resistance to the big-power builds that are slowly becoming the norm even at grassroots level, which is good, because it’s nice to have a variety of cars and driving styles. And we all know how hard you have to push yourself as a driver to keep up with powerful cars when you’re behind the wheel of something with 150hp at best! And it’s among the sea of these high-revving, screaming AE86s and KE70s that I came across this rarity – an AA63 Carina GT-R. The angular coupe was sitting on a set of Techno Phantoms, painted with a few coats of flat black and wearing appropriately-chunky rubber. Aside from a few bruises around the rear arches, probably caused by an attempt at persuading them to accept the tighter-fitting wheels, the car was pretty much spotless. I come across quite a few AA63 Carina sedans, but a two-door GT-R version… I really can’t remember the last time I saw one. These things are truly rare. They still maintain the boxy sedan look, but it’s stretched out over a more flowing coupe body. 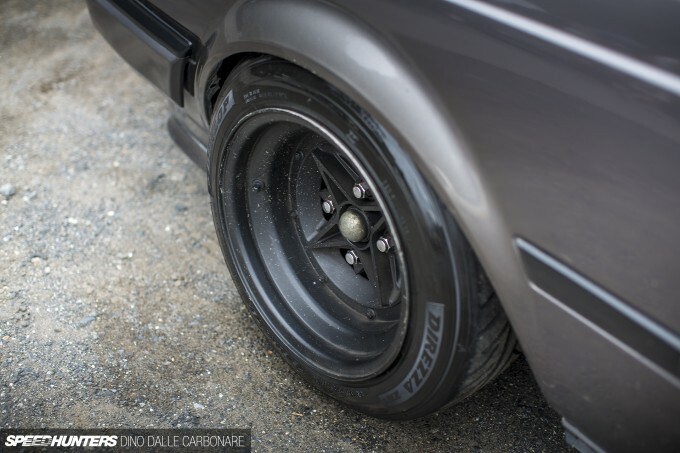 I stumbled on the car early in the morning, so the owner hadn’t yet had a chance to fit his drift tyres at the back – specifically stretched 14-inch budget rubber mounted on RS Watanabe wheels that look like they’ve seen a lot of action. Of course, little power means you don’t go through tyres anywhere near as quickly as owners of turbo cars do, and the guys in this class had one or two pairs of spares only. 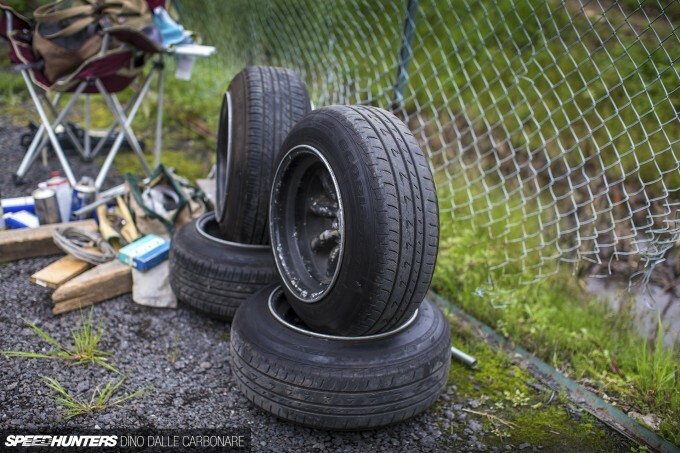 Drifting on a budget right here! Sticky Dunlop Direzzas take care of providing grip at the front. I really love how these cars require only a few simple touches to look their best. Throw on a front lip spoiler and roll the fenders are you’re ready to go. It’s not hard to see why there’s an ever-growing attraction to these rides from the ’80s. Given the sheer variety of body styles and the fact that they look nothing like the cars that manufacturers are churning out today, there’s a lot to love. This car had obviously been cared for during the first part of its life as it’s in great shape, right down to the various trim pieces. Either that or Toyota used to build cars a little better back then. A bit of both for sure. I asked the owner to give me a quick look under the bonnet and a swarm of Corolla owners came over, including Taku whose black KE70 we saw in the main event post. The 4A-G in this car has traded its fuel injection for a pair of Solex side-draught carbs, and with that added a totally unmistakable character and feel. 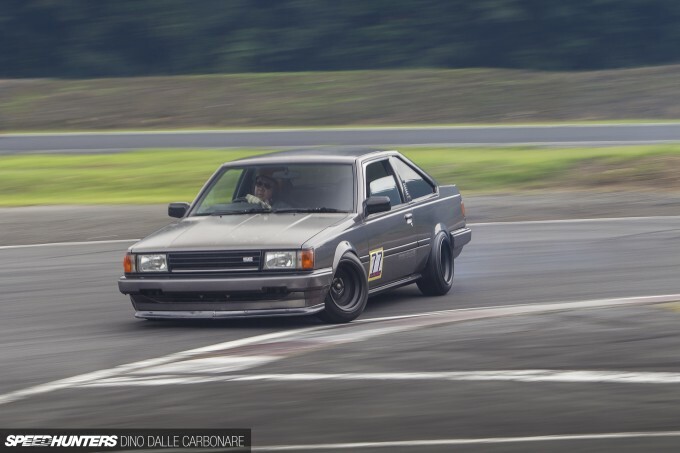 Despite being obviously under-powered compared to the big JZX builds out at Nikko on Black Mark Day, the Carina looked great sliding through the twisty infield section. But it was the smile on the owner’s face that told the story – power isn’t everything! 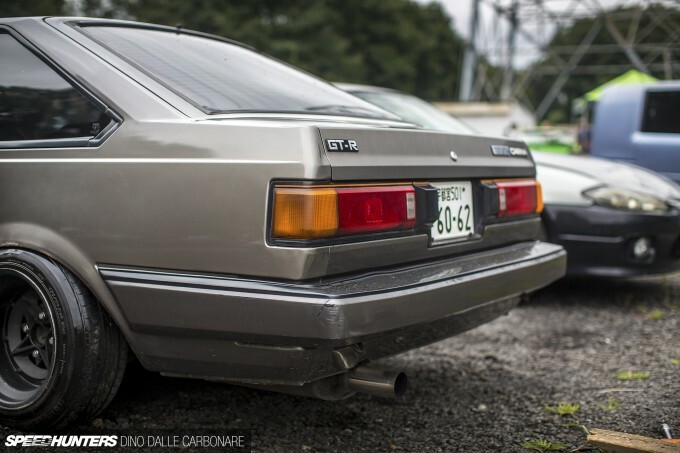 AA63 Carina GT-R might be rare now cause that car is old, but in its day it was normal. The $AG engine was in everything then. 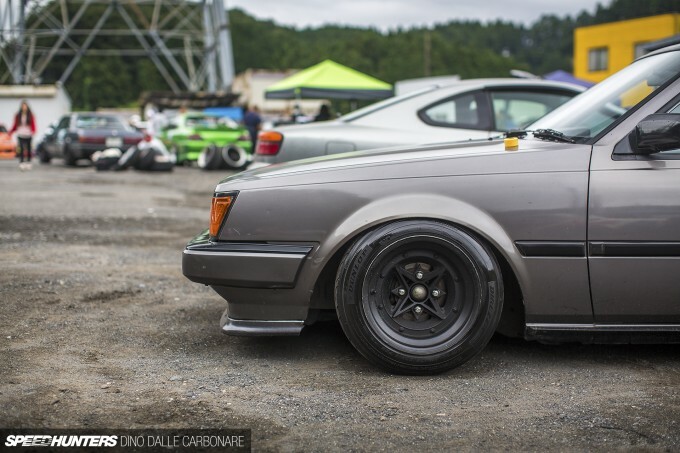 The GT and GT-R Carina's were just too plain heavy for drifting. People opted for the GT-TR came with the 3T-GTEU. Turbo charged yamaha engine. Lots of my friends had them growing up. They were pretty fast. One has the ultra rare 4T-GTEU. Was made strictly for rally and only 228 ever made. It looks like a grown up 86. Super rare to a point where if you had this car in Australia, people would stab you if you even thought of taking it to a track. Nice feature of a car I've never seen before. ryukyustriker How heavy are these things? 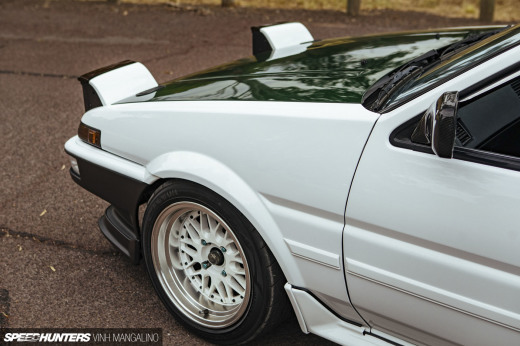 I guess by todays standards you wouldn't call them heavy but compared to the AE86 right? Great find, didn't even know a gt-r Version of the carina existed! Honestly...she's a beauty and rare girl! Amazing. Real JDM culture. Max @Ghettoporsche ryukyustriker Looked pretty nimble on track! TSLegendary How much does your S30 weigh? No interior shot!? Those bride seats look quite nice sitting in there. I own 2 carina GTR sedans. 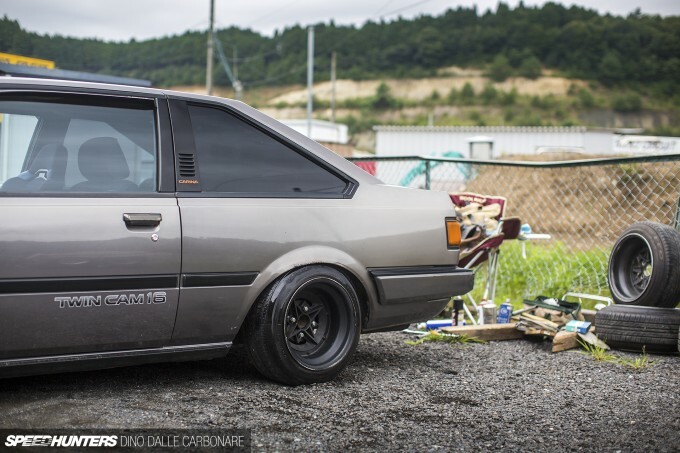 Yes they are definitely heavier than AE86. By how much not sure. Track width approx 150-200mm wider. Wheelbase also longer for sure. 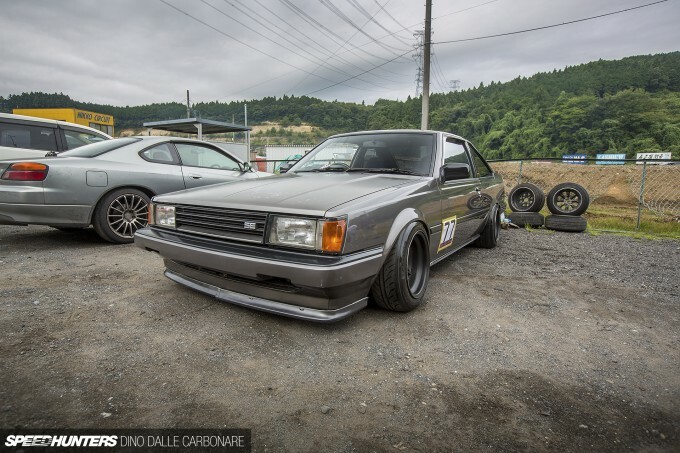 Brilliant chassis, celica based. Max @Ghettoporsche ryukyustriker There are several variants, because the factory 4AGE/3TGTE versions had independent rear suspension which made them a bit heavier than live axle. I've got a live axle version with beams motor and 6 speed box that's 970kg with an empty tank of gas, full interior but no sound deadening. There arent many 4AGE versions left, because most of them rusted out and the motor and box were worth more than the car. 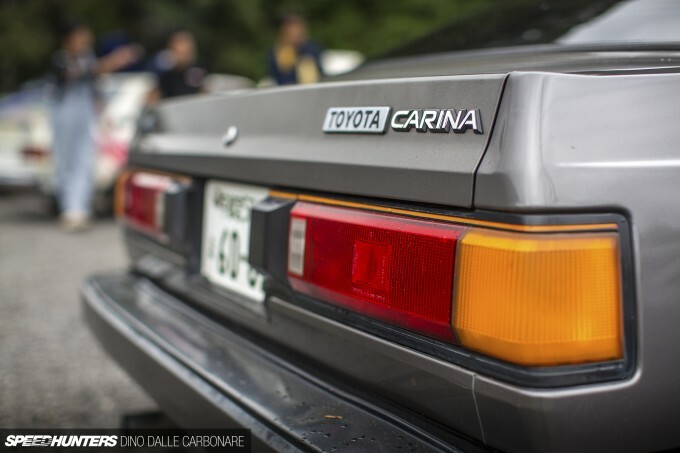 Carinas and Celicas were a large source of parts for AE85>AE86 conversions. My car is painted the same colour as the car pictured, but twin headlights from a wagon. I use it for trackdays, it's pretty good fun. Slowly getting quicker lap times as I get more confident driving it. 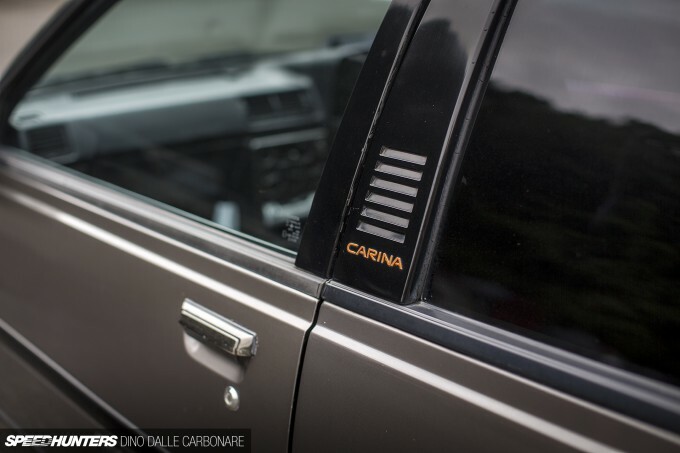 I really like your Carina! I can't watch the video at work but will do that in the evening! 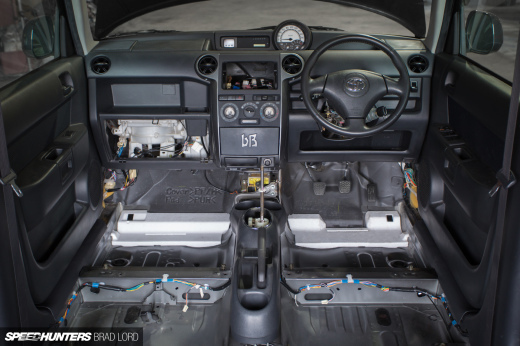 Do you have a buildthread or anything about the car? I've gone threw great lenths to bring her down as much as possible but remain my daily driver. Last time i wieghted her she was at about 2100lb without me in it. 1/4 tank in. Replaced almost every component with either fiberglass or chromoly steel. I actually removed the original dash board and gauges and installed a custom PDK race dashboard and intellitronix gauges because they were about 5 oz lighter then most gauges i found. Im a bit of a wieght freak. 2255* Edit that. Sorry about this. @JDMjunkies same platform as contemporary Celicas (you probably knew that, sorry!) 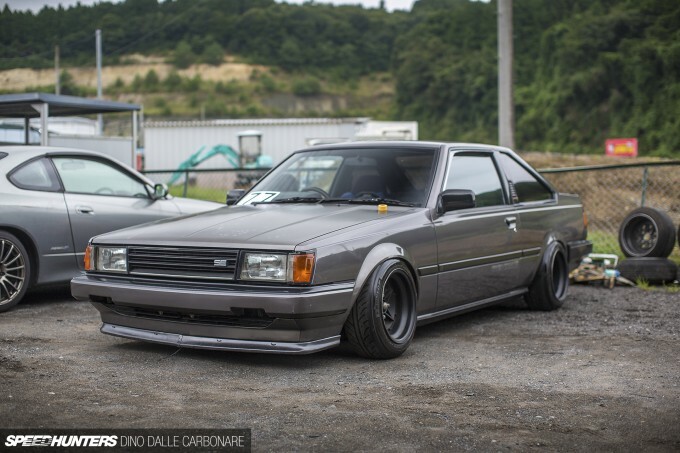 and these are actually better looking IMO than the A60 Celica notchback. Definitely a unicorn/dream car for me just because. So cool. ryukyustriker From what I understood the 3T-GTEU was quite difficult to tune and it is much heavier than the 4A-GE powered Carina. 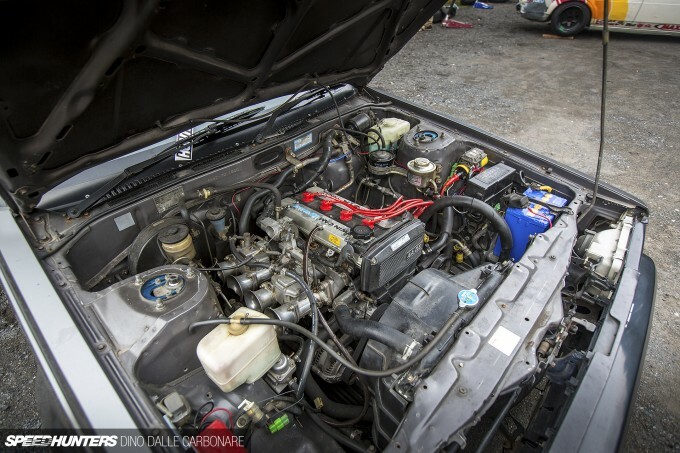 The Carina coupe and Celica AA63 weight 1095kg and 1140kg while the AE86 weighs 960kg. That is quite a lot of weight difference. But the TA63 version of the Carina coupe weighs 1160kg mostly due to the W series transmission and the heavier engine. So the 3T has to haul even more weight nevertheless it should not matter as the Turbo should have a lot more torque. You made me a very happy Carina owner today and it was a nice way to get fully awake after opening up Feedly and seeing a Carina GT-R on the first feature. The grille badge suggests the grille got swapped as the rest of the car seem to be original. There is no difference between the kouki SE and GT/GT-R grille apart from the badge though. phil morrison from driftworks once said that a common mistake with people who get into drifting is that they think you need a lot of power to drift a car when really you don't need a high hp car and that some people who are really bad at driving use high powered cars to cover up their terrible driving skills. @Tom Agreed. The over-powered and pro-drifting guys just create big smoke shows. Basically, just maintaining an extended burnout. There are crappy builds all over the world...including in Japan. 1-Doesn't try too hard and creates a seemingly effortless aesthetic. 2-Tries SUPER hard with a resultant incredible execution. This car is definitely in the "not trying too hard"...but in a good way category. Sooo many US and Euro builds seem to fall in the murky middle. Usually, with tons of stickers...yet still trying too hard. Really nice car, reminds me of my childhood. My dad had a red Carina GTR back in the day with a nice bodykit, the car was really spacious. Sadly he sold it to one of my uncles and he didnt take care of it at all, the car literally ended in a trashcan. @Roman Max @Ghettoporsche ryukyustriker Very cool!! Not really, he seems to know what is actually going on in the scene. Too many try hard builds, trying too hard to be JDM. @CRR What? OMG! That's bad! Do you have any photos of your dads Carina GT-R? @CRR Totally feel you,my dad had a w123 Benz which he gave away(not even sold...) to one of his friends.The car ended up a huge flowerpot. A long time ago I had a beams motor that I had rebuilt that had no home. Decided that something front engined RWD would be much easier to maintain as a track car than my beams powered MR2 which was giving me grief all of the time. 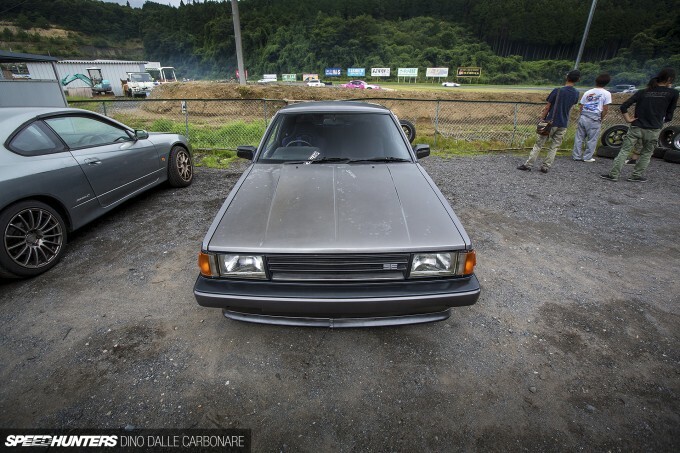 So I did some research, and found out that an early 80s Celica, Carina, or Corona came out with a 1S engine. Which means you could get engine mounts that bolt a 3S engine in very easily. Decided that I liked the Carina coupe the best out of the easy options. I spoke with someone who races a Carina, about opinions on live axle vs IRS. And whether getting an IRS model would be worth the hassle. Said that the trailing arm IRS gives lots of toe and camber change through it's travel so isnt necessarily any better than live axle for handling. So the goal from there was to find the least rustiest car available as all of the drivetrain/brakes/etc were going to get binned anyway. Took the car back to bare metal and resprayed it in what coincidentally looked to be a factory Carina colour. Standard VVTI 3SGE engine with staged injection spinning to 8200rpm. Link G4+ Xtreme ECU with Ethrottle, knock sensing, launch control, other fun stuff currently in progress. I need some semislicks in my life! haha. It's lots of fun to drive though. @Roman Slappy_Pistons Max @Ghettoporsche Awesome, thanks for sharing. wow supper and this is mine with 3SGTE! AnuradhaAbeysinghe Oh wow! Your TA63 looks amazing! I see you got yourself a Carina Van front end and stripped the rear bumper. Looking smart!